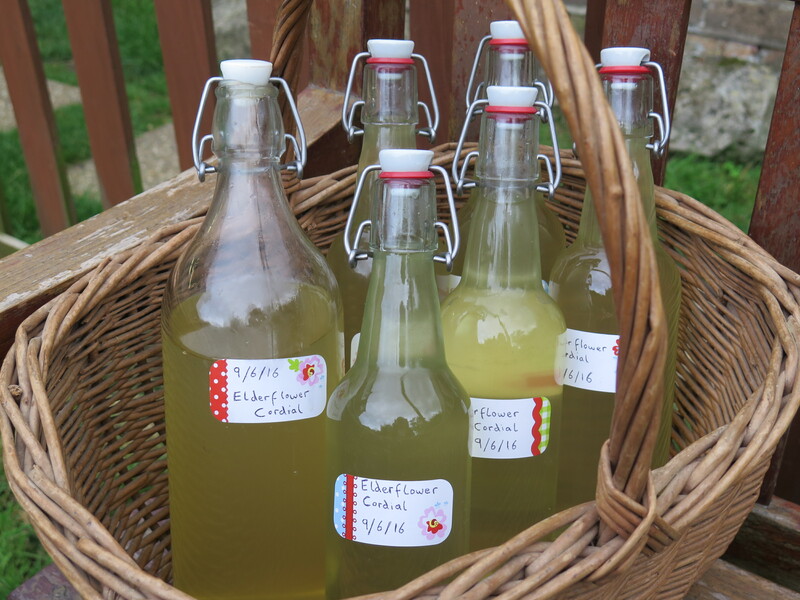 Elderflower is one of my all time favourite foraged treats and the best thing to make with it is cordial… This simple recipe is not only delicious but the syrup can be added to other dishes and used to create even more yummy treats. That’s if you don’t drink it all first! 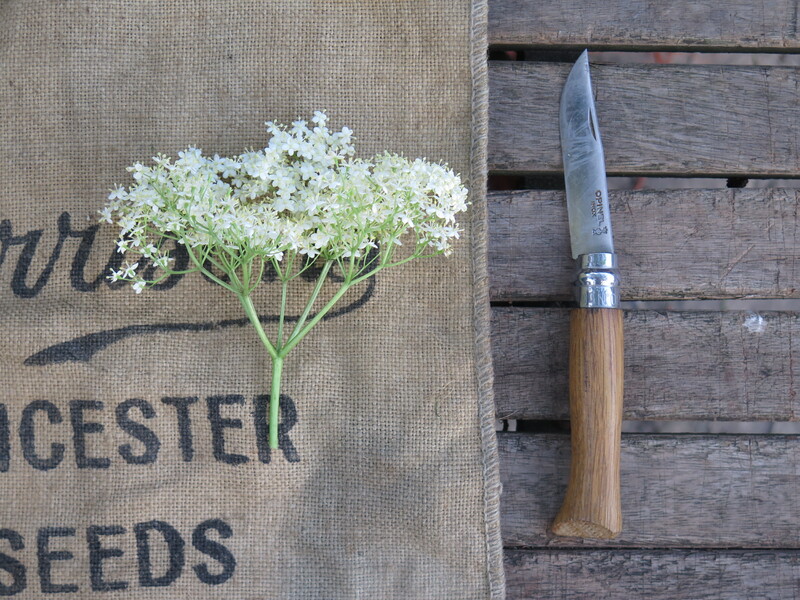 Shake the elderflower heads to get rid of any dust or insects and put them into a large bowl or sterilised bucket. Peel off the zest from the lemon in thick strips and thinly slice the lemon, add them to the bowl with the elderflower. Put the sugar and 600ml of water in a large saucepan and heat slowly, stirring gently until the sugar has dissolved. Then bring to the boil. Strain through a muslin into a clean bowl and then pour into clean bottles. Seal, label and store in the fridge. A nice Summer drink. It even looks Summery. Do you drink it straight or add it to something as a flavoring syrup? 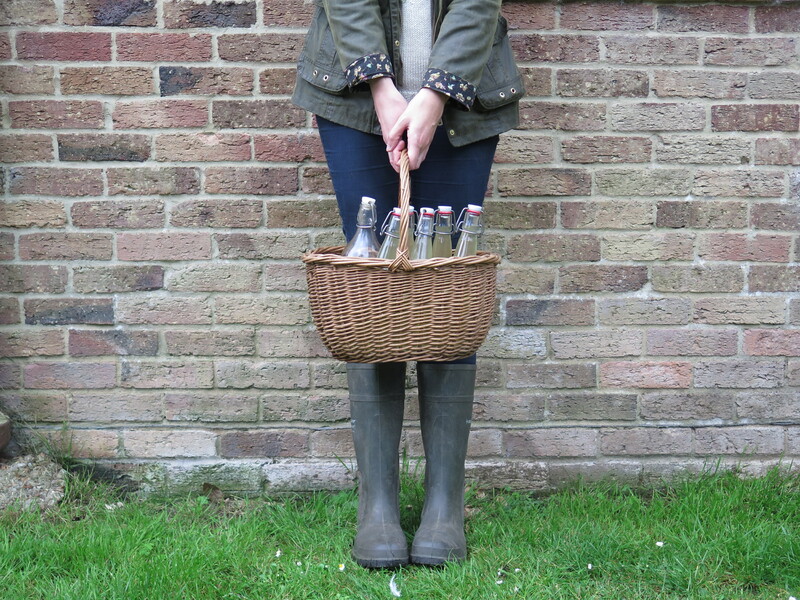 Looks so pretty- love the bottles! 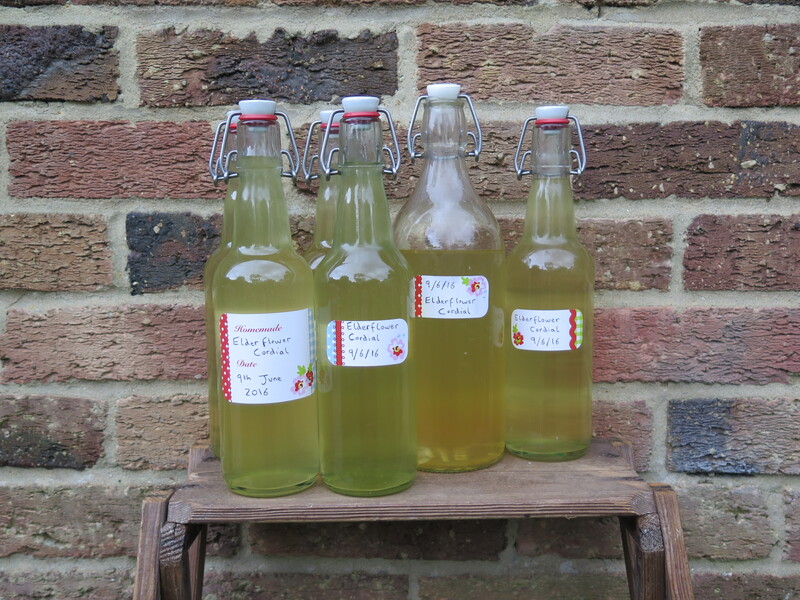 Thank you – I think we overdid it a little, I wanted to have more than enough rather than too little… Some cordial is still straining, but the bit I’ve sampled is amazing. Thanks again for the recipe, and I hope your dad had a great Sunday too.